Most cars nowadays have a strong commitment to safety, but the 2018 Acura RDX safety features undoubtedly go above and beyond the norm. Between stability assistance, various high-tech systems geared toward your awareness and responsiveness, and many others, you and your passengers will always feel safe and secure when inside the newest RDX. Find out what the 2018 Acura RDX safety is all about with Acura of Ocean. Whether the road is uneven or a bit slippery, the Vehicle Stability Assist system will ensure that your vehicle remains firmly planted on the road and maintains optimal traction. When you have this technology installed, you’ll be alerted when a vehicle is in your blind spot when you’re traveling at speeds over 20 mph. When you switch gears to reverse, the Multi-View Rear Camera automatically engages, with three angles aimed at helping you judge the where you’re at and guide you where you’re going. Working alongside the Vehicle Stability Assist program, this system works to improve handling, particularly through active braking, for a smoother drive. In more ways than one, the 2018 Acura RDX’s safety features work to keep you alert and protected whenever you hit the road. In addition to these safety features, the 2018 Acura RDX has many packages on offer, which provide access to even more driver assistance systems. For example, the Advance Package promises front and rear parking sensors, while the Technology Package incorporates a rear cross-traffic monitor to go along with the Blind Spot Information System. Of course, there’s the AcuraWatch Plus Package, which is entirely safety-oriented and provides technology like a collision mitigation braking system, lane keeping assistance, and adaptive cruise control. 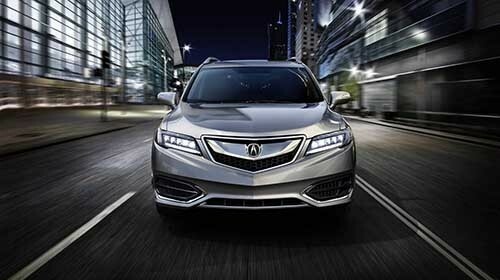 In any case, you’ll be able to explore it all at Acura of Ocean. Get in touch when you’re ready for a tour and test drive around the Jersey Shore beaches!